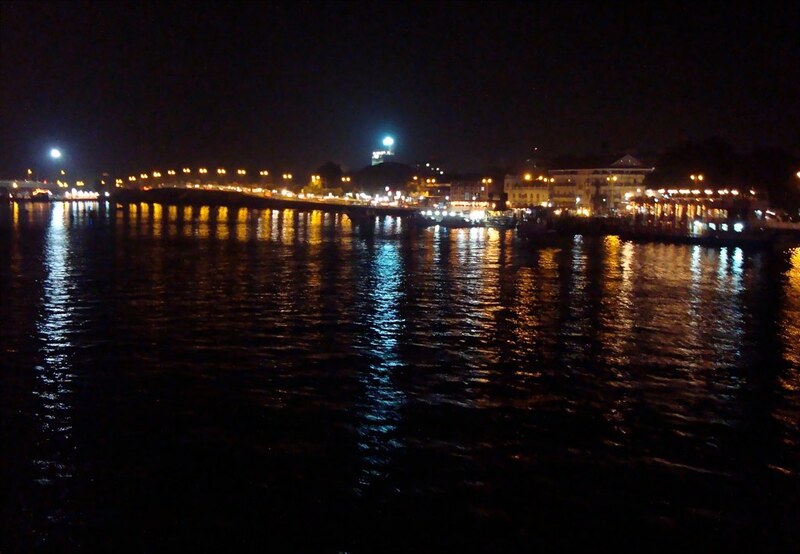 THE BEAUTIFUL Mandovi or Mhadei river is a bone of contention between Goa and Karnataka for last over 15 years. The rivers flows for the first 35 kilometers through Karnataka and enters Goa through a pristine forest range of Western Ghats. While Goa calls it a lifeline which keeps the salty sea water away from the agriculture belt, Karnataka wants to build 12 dams and divert 10 TMC (thousand million cubic feet) of river water, claiming to serve its dry central region where farmers are dependent on rains and various villages are fed by tankers. The neighbours have gone to the tribunal to sort out the dispute but the political war of words has got shriller especially after Karnataka resumed the Kalsa canal work. The tribunal’s term also ends in August 2017. 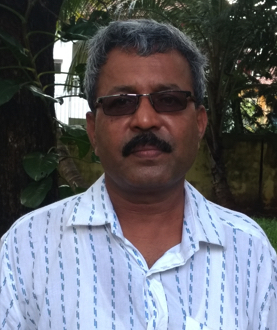 We talk to Rajendra Kerkar, secretary of the Mhadei Bachao Andolan, an activist organisation in Goa, to understand the present and future possibilities of water sharing. Q. What are the major environmental concerns in Goa regarding Karnataka’s plans to divert water? A. If the water is diverted, Mhadei Wildlife Sanctuary will face serious problems which is hardly 300 metres away from the damming site at Kalsa in Karnataka. As per Wildlife Protection Act of 1972, such a diversion near a Wildlife Sanctuary or National Park requires permission from the National Board of Wildlife headed by the Prime Minister. This permission is not obtained by the Karnataka government and they have illegally started construction, excavation and digging of the Kalsa canal project. This has already killed a tributary of Mhadei, called Kalsa river, which enters Goa at Surla. Also under this project, they want to divert dozens of tributaries. The project will affect the only freshwater source to Goa which supports 43 per cent of the state’s population. Q. Is Mhadei Bachao Abhiyan in contact with farmer groups and political parties in Karnataka to make them understand why water diversion is a bad idea? A. We have met many environmentalists of Karnataka and Maharashtra and also farmers of Belgavi district as they are directly associated with the tributaries of Mhadei in Karnataka. These farmers will be the main sufferers if the water of Mhadei is diverted. We have discussed the details with them and they have expressed their support. They have protested on many occasions against Karnataka for illegal damming of water from their villages. We are ready to have dialogue with political parties and agitating farmer groups but they don't want to listen to the reality as reality is always harsh. Q. What are the major Industrial plans taken up by Karnataka government based on water diversion? A. In Gadag district, Karnataka wants to set up a huge in dustrial complex which will include sugarcane factories. As sugarcane requires large quantity of water, the dam at Saundatti on river Malaprabha is not catering to that demand. So the strong sugarcane farmer lobby is pressing the Karnataka government for this project. We fail to understand why the government is not repairing the present dam on Malaprabha river instead of seeking diversion of Mhadei’s water. Many rivers in north Karnataka can be used efficiently for the deficiency of water in the state. Q. How have crop patterns in both Goa and Karnataka changed with farmers going for cash crops that require more water? A. In Karnataka, the so called agents of development force the farmers to undertake cash crops like rice or sugarcane. Earlier, the people were growing finger millets which required less quantity of water, but these crops have been given up in favour of incentives given by the sugarcane industry. For last quarter century, Karnataka has focused on building of big dams and canals which destroy the natural flow of a river. Instead small scale water conservation through small check dams can deal with scarcity more effectively. Q. People say Goa use the river basin to run casinos. How do you answer that ? A. Goa is a tourism state and casinos are run in the areas where the river water is salty. I am against the casinos and will not support the industry as they pollute the river. This argument, however, is not right as Mhadei from its origin in Degao (Karnataka) to Usgao (Goa) has freshwater. So we want to protect this part of the river. Q. The inter state water disputes take a lot of time under different tribunals. Is an out of court settlement a better option? A. The issue has reached such a level that the settlement will not be acceptable to either party. Now the ball is in the court of the tribunal and Mhadei Bachao Abhiyan is fighting a case in the Supreme Court of India for Goa’s lifeline. The tribunal’s term ends next month and the Goa government has requested its extension because arguments are going on and in case extension is not given, the problem will remain unresolved. Q. Can nationalisation of rivers solve such sensitive inter-state issues ? A. No, nationalisation of rivers will complicate the problems. It’s not required especially for a small state like Goa where we have fragile ecosystems and mangroves. To protect these, the optimum quantum of monsoon water should be allowed to mingle with the river so as to neutralise the salty water and to control humidity. Q. How does Mhadei maintain ecology and ecosystem in Goa and Karnataka ? A. River Mhadei originates in Degao, Karnataka. Its path from there till Krishnapur supports the Bhimgarh Wildlife Sanctuary, one of the important tiger habitat. It enters Goa through Kadwal village. The Talewadi caves in its basin is the only known site for Wroughton's free-tailed bats, a critically endangered species which need to be protected. The origin of these bats is found near Mhadei Wildlife Sanctuary in Karnataka.